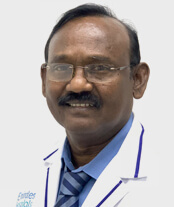 Dr. Adinarayana has completed his master degree in Orthopaedics in India, A.O Fellowship (Austria). He holds over 25 years of experience. He worked as specialist Orthopaedic Surgeon in Ministry Of Health Saudi Arabia and as an Associate Professor of Orthopaedics in India.